Kids haircuts, Minneapolis and St. Paul | Kids' Hair Inc.
What makes a Kids’ Hair Haircut different? So many things! 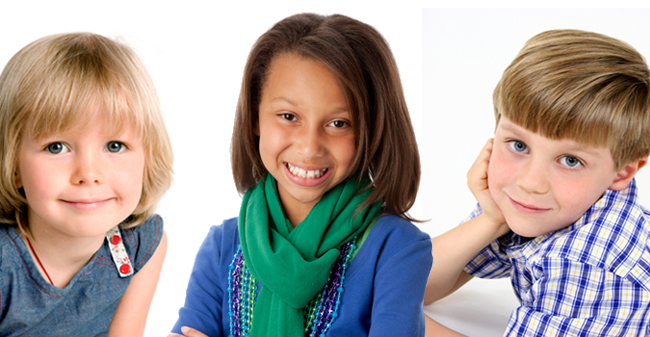 Our stylists are specially trained to cut and style children’s hair. Our signature cuts are designed to be wearable and hassle free. Also, our salon environment is designed for safety, comfort and fun! We do not perform any chemical services in our salons and everything from the chairs to the equipment are designed with safety features. Watch kid-friendly movies while you get your haircut, while mom and dad relax with a cup of Caribou Coffee. 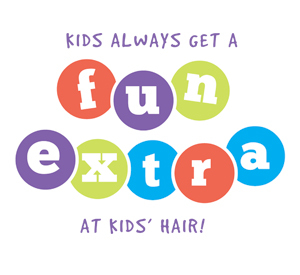 Each Kids’ Hair Haircut isn’t complete without our complimentary Fun Extra (such as a braid, a streak of color or glitter or a tattoo), a sucker and a sticker. *Every Kids’ Hair haircut begins with a FREE lice check.